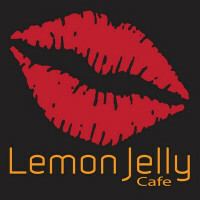 Lemon Jelly is a modern cafe located on Millennium Walkway. The City Centre cafe provides a broad menu, you can expect to find anything from a tradional full Irish Breakfast to savoury and sweet crepes, salads, omelettes, ciabattas and more! healthpro's Menu Mentoring team work with Lemon Jelly, which resulted in a nutritional and allergen analysis on their full menu. This has provided a considerable added value to the franchise. Customers can now make meal and snack selections to suit their individual needs using our instore nutritional, allergen and lifestyle symbols. Lemon Jelly provide a variety of options from gluten, egg and dairy-free meals to vegan meals as well as low fat, and low sugar options. We are pleased to announce that Lemon Jelly continue to fulfil all necessary criteria for inclusion in healthpro's on-line platform for customer nutritional information provision, the Healthy Eating Guide.